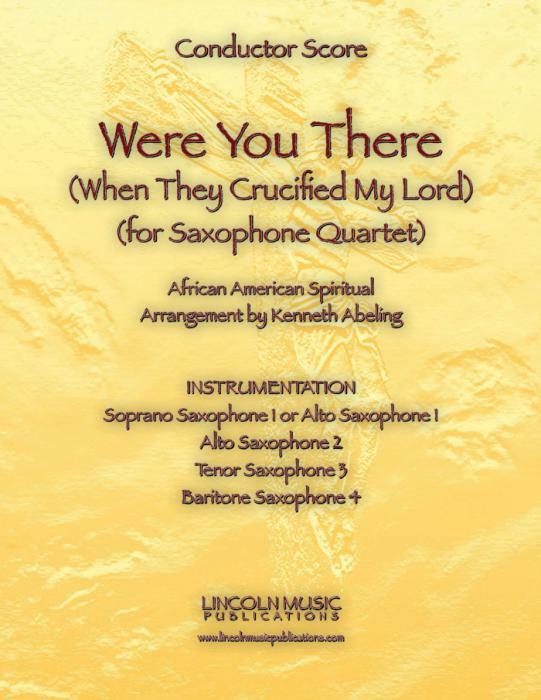 Were You There (When They Crucified My Lord) arranged for Saxophone Quartet. This is a contemporary arrangement of timeless African American Spiritual. It is an Intermediate Advanced to easier advanced arrangement and is appropriate for all contemporary religious services, many traditional services and of course general performance.